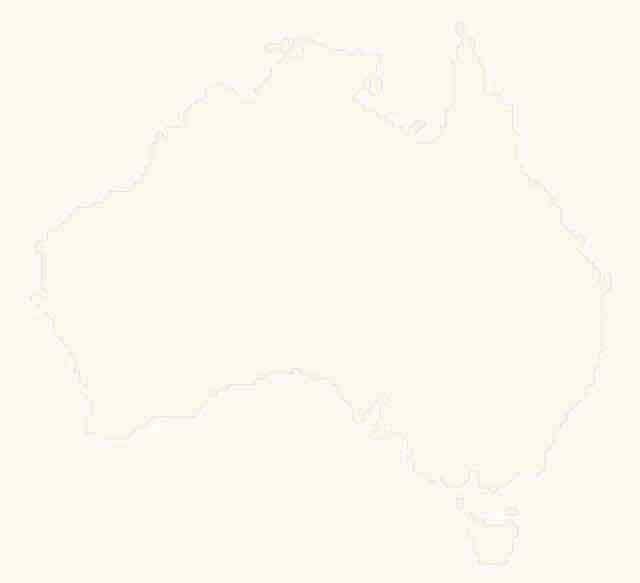 Since our last write up on these pages we've been pretty busy with more adventures in Central Australia, some time along the Murray River in NW Victoria, a few days around the Buckland Valley and Mt Buffalo in NE Victoria before going back up that way again at the beginning of 2015 for the Victorian Mountain Cattlemen's Get Together. That was a great weekend except it poured rain for a few days, which was a bit of a challenge for all who were there. Once that was over we left Mitta and wandered through the High Country for a few days before heading back home. 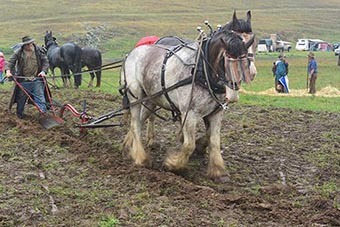 Displays of the big horses old time ploughing in the rain at the Victorian Mountain Cattlemen's Get Together 2015. 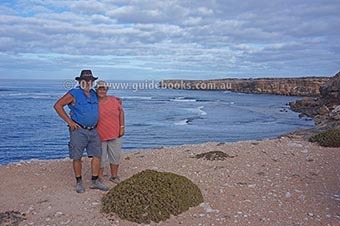 In late Feb and much of March we were travelling the Great Australian Bight which will feature in the July and August editions of 4x4 Australia Magazine. Now we've just got back from five days with a group of friends and family from around Talbotville in the Victorian High Country. 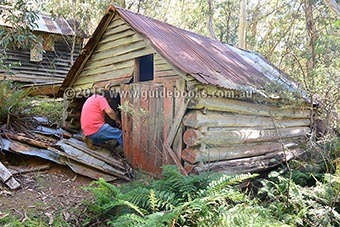 Located about 45km west of Dargo, Talbotville is an old goldmining townsite that has long been abandoned. The access road ... or at least the best one ... goes via the old gold town of Grant which was located close to the Good Hope Gold Mine (amongst others) at the top of the hill, a steep 10km long climb from Talbotville. There's not much left at Grant itself but a few info signs and the old cemetery which is worth a quick stroll. 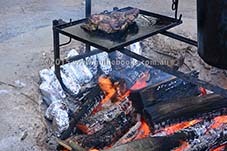 Cooking over an open fire - one of the delights of camping. Down at Tabotville there's a large grassy flat along the winding babbling stream of the Crooked River, which makes it a very popular camping spot. There's a few fire places and a toilet ..... please use both! Our first evening there we had a deer 'barking' from just across the river and after we went to bed he came in a lot closer. We must have taken over his favourite feeding spot! 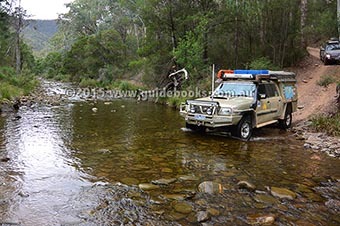 Crossing Crooked river below Talbotville - these crossings can get deep. 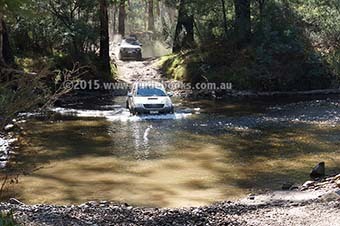 We took a couple of 4WD day trips. The first one was back up towards Grant and then down Bulltown Spur and then along the Crooked River from the old town site of Stonewall, through Bulltown (hardly anything at either spot) and after 28 crossings or so of the river you end up back in Talbotville. 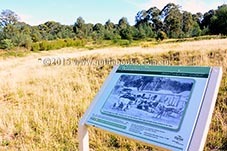 There's a lot of old mining shafts and diggings along the way (some have ben fenced for safety reasons) but the best old mining site to explore is the New Hope Gold Mine. That demands a bit of a detour of the track and a steep walk up the hill to the site of the old steam engine and 5-head stamper. It's worth the effort. 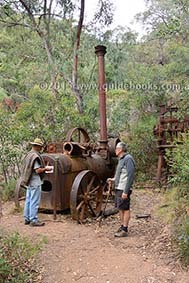 Old steam engine and stamper at New Good Hope goldmine. Next day we took a long loop out of Talbotville, up Brewery Creek Track and onto Basalt Knob Track which took you through some country that was burnt out in the big fires of 2003. There's a lot of thick regrowth and some big old trees still standing, but for how long I'm not too sure. 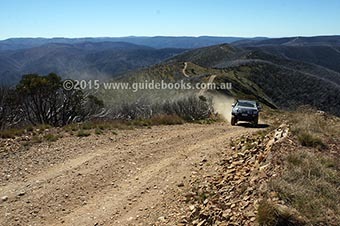 Basalt Knob track climbs to Blue Rag Range Tk. Viv at Blue Rag trig point. Basalt Knob Track winds steeply uphill to meet with the Blue Rag Range Track about a third of the way along it from the main road. We took a run out to the Trig Point on top of Blue Rag, admired the view, as you do – it is one of the most spectacular tracks in the High Country - in all of Australia really! On Blue rag Range Track. 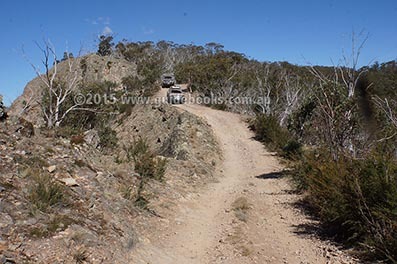 We back tracked along Blue Rag track to the Dargo High Plains road and headed south, stopping of to check out a few old huts and talk to a cattlemen bringing his cattle down to lower elevations before winter sets in. 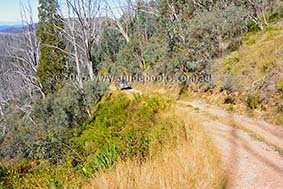 Next day we headed downstream along the Crooked River Track to Kingswell Bridge and then along the Wonnangatta Road before climbing Billy Goat Bluff Track. It is very chewed up at present and very scrambley in places but the ol' Patrol loped up there. Had to back down about 300 metres at one stage and pull a couple of more standard vehicles up and over a short obstacle. Checked out the view from the Pinnacles fire tower – a great view – and then backtracked down Billy Goat where a group of four vehicles were winching up. We helped for a short time, then left them to it and headed to Talbotville. One of many crossings of Crooked River - no worries when it's just this deep. Ron checking out the climb up Billy Goat Bluff. Descending Billy Goat Bluff Tk - the easier option. That was our time and next morning we climbed the hill to Grant and cruised onto Dargo before heading for home. The weather had been great making the whole time with friends and family really enjoyable. You can keep up to date with our adventures along with updates on all our books, as well as other travel info on our Facebook site: www.facebook.com/MoonAdvPub. Don't forget to LIKE our page. 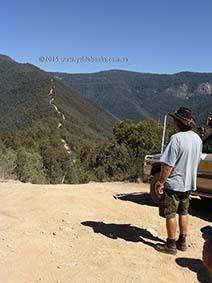 Also check out our latest web pages on Dirt Road Diaries.